Ever wondered how expensive could Linkedin profile writing services Toronto package could get? Not less than $300 from anywhere in the world. Whether you search a freelancer jobsite or any other private services, it is impossible to get such a service at such a low cost! However, we offer this service for a very low cost indeed. The philosophy we follow is to offer best Linkedin profile writing services Toronto package for customers and professionals from Canada. ► Fool proof writing as per recruitment standards in Canada, anywhere in the country. ► Usage of English appropriate to the country’s dialect. ► No additional charges for these customizations. 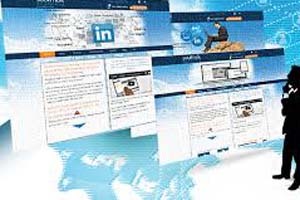 ► LinkedIn profile summary and 4 role descriptions for 30$ only. ► Standardized package delivered in 3-5 days maximum. We will have a chat with you if required to have a better understanding of your needs. We will also require your Resume and your specific job goals to understand your aspirations. LinkedIn profile writing services Toronto package comes with 100% customizations as per your need in your country. It is priced nominally and strategized as per your role and responsibilities. Whether you are a CEO or a front line executive, what we write will create magic for your profile! Avail LinkedIn profile writing services packages by buying one of our packages now! Click Here to buy. After buying email us on customer@golinked.in with your details and also send a message to +918608657782 via whatsapp so that we could complete your job soon.